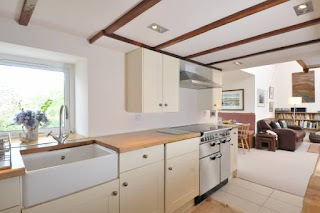 Half of Two offers self catering accommodation in Torrin. 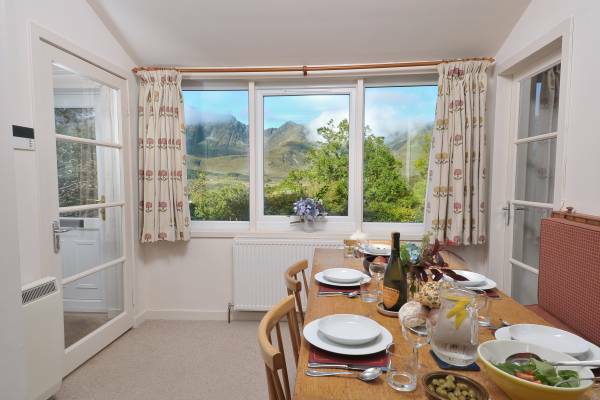 The cottage on the Isle of Skye is in a secluded location and offers breathtaking views over Loch Slapin. Half of Two is in a mature garden and offers a tranquil break away. You can relax and unwind in the sitting room. This includes a vaulted ceiling, mood controlled lighting, Sky TV, comfy seating and furnishings. We are an ideal base to explore all the pleasures and wonders of the magical island of Skye. You can see wildlife when taking a boat trip. Many great boat tours to choose from are available. They operate from different parts of the island. Leave from Elgol and visit the spectacular Loch Coriusk surrounded by the Cuillin Range.